So this is the list of 20 albums that the Ironbath thought were pretty damn good in 2013 – but didn’t quite reach the shortlist. They are not in any order of merit, but are roughly alphabetical (at least in the way that iTunes thinks the alphabet works). This is a new band for the Ironbath. This album has the feel of a classic alt-country album from the late 1970’s. Something that is visualised to be playing as you drive down the Nevada freeway. It is warm and familiar and each song slowly builds and stretches into an anthemic ending. The final song ‘Texas’ is particularly splendid. Brandy is everything that Ashley Monroe is hyped as. These 12 stories are such accomplished novellas of life reflected in Nashville Americana music. Her rhymes are delightful and the words fall into place as she sings them. 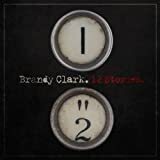 This is the folk music of people who live in trailers, or come home to find their husband in bed with a platinum blonde, To be honest infidelity is a strong theme in her music, and the Ironbath thinks that it would be best not to cross Brandy Clark. 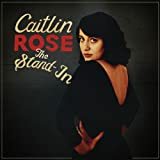 Caitlin’s full length debut ‘Own Side Now’ was magnificent, and made her the darling of the music industry. On her second album she turns up the temperature. It has a rockier edge and the songs are harder. However, she maintains her delicate vocal and she is clearly enjoying every moment of her time in the spotlight. Like many great albums it is uncharacterisable. Is it country or rock? Modern or traditional? Who knows. Who cares? 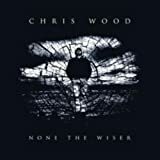 Chris Wood has been a stalwart of the English folk scene for 30+ years & 20 something albums. He is associated with Andy Cutting & Martin Carthy, and was a founder of The Imagined Village & The Darwin Project. The Ironbath has seen Chris Wood many times, mainly in various muddy fields during summer folk festivals. Then landed this CD and all the history was wiped away by a stunning – career defining – album. Perhaps it took all those years travelling from gig to gig to build up the bile and contempt for modern life that is evident in these songs. A couple of years ago The Civil Wars burst on to the music scene with an elegant series of harmonies that sounded like immediate classics. They would throw in a range of covers from Michael Jackson to Portishead in their live shows, then during a European tour at the end of 2012 it all fell apart as those close harmonies shattered into irreconcilable differences. Except that in 2013 they managed to release a live album ‘Unplugged at VH1’, a soundtrack with T-Bone Burnett ‘A Place at The Table’, and this their second, and probably their last studio album. It was recorded before the split, with post production completed in early 2013. 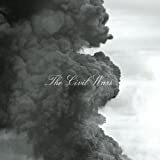 The antics of Joy Williams & John Paul White have left a lot of people cold, and the Ironbath would have been happy to miss this off the list, except that, well, it is a pretty good album. It runs fairly similar to ‘Barton Hollow’ but if anything is technically better. The songs sound deeper. The Ironbath was struck by Devon’s quaint vocal style and peculiar songs some 5 years ago, so any new album is a must have. This album, where she duets with Mike O’Neill is more difficult to enjoy than previous offerings, but perhaps just takes a little longer to understand, and there is beauty in this collection. It is worthy of a place on this list because it is challenging, although it was a close call. Emily lives just down the road from the Ironbath, and at Easter he saw her in a modern yurt constructed at a local pub, then in September he saw her in her first US performance in Nashville. 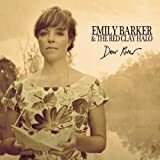 Emily is an Australian by birth and her music is a thoughtful harmony of Anglo-Australian folk, and this album is loosely a conceptual reflection of the journey she has taken. 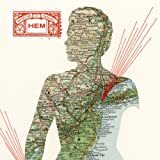 Every Hem album is a delicately beautiful piece of art created by Dan Messé and sung by Sally Ellyson accompanied by a range of talented musicians. The Ironbath saw Hem for the first time in October, and sitting there in a delightful old theatre it felt as if he was holding a hot water bottle onto his heart. This is music to inspire and to feel good about love and friends and everything that is godly in this world. 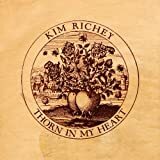 The Ironbath was woefully late to the Kim Richey fan club, and it wasn’t until he saw her during the AMA festival in September that he noticed this album. Perhaps it is a sign of the times that gems like this can easily be overlooked. Kim has a wonderful voice, equal parts strong and sensitive, that dominates this album as she tells stories that relate to her life. These aren’t the songs of a young woman, but have a solidity that is derived from bitter experience, yet are resolutely positive. It would be too easy to dismiss Laura Marling as an art-folk artist who rides the popularity of fashion, but in her 4 albums (she is still only 23) she has developed her own unique style of intelligent, delicate folk, tinged pop, gaining 3 Mercury Music Prize nominations. 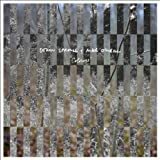 The last two albums have been produced by Ethan Johns, and they are a perfect match, delivering sharp, sparse compositions. 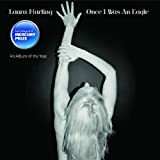 ‘Once I was an Eagle’ includes 16 tracks split at the mid point with an interlude, which is needed to allow the brain to recover from the complexity. 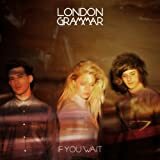 London Grammar are described as an ethereal trip-hop trio who met at University and went from small club to YouTube viral sensation to just missing out on a number 1 album in the UK. Hannah Reid, the vocalist, has a vulnerable quality that is complimented by the production-light sound track. This is especially shown on the stunningly affected ‘Wasting My Young Years’. The Ironbath expects that this may well prove to be their best album as it is likely that their sound might deteriorate as they succumb in major label production and develop their own confidence. But for the time being this is a wonderful, naïve band that has gone from nothing to defining the sound of 2013 within a year. What if all pop music was this well crafted? 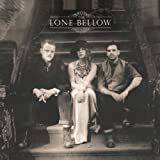 The Ironbath saw The Lone Bellow play to an absolutely packed High Watt in Nashville after the AMA Awards Show, and a few days later in the Downtown Church. Both times they sung their hearts out with catchy songs to the captivated audience. This is Brooklyn folk, the type of music that can still be heard in the noisiest of New York bars. It is the most ballsy of all the debut albums this year. 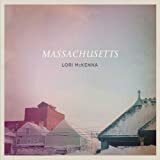 This collection of songs is so distinctive that they can only come from Lori McKenna. It is her most confident album to date and features beautiful songs. 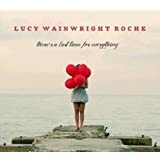 She described the process for this album as ‘The goal was emotion not perfection’, but the emotion is perfect, and as the song says she ‘Makes Every Word Hurt’. The Ironbath stumbled across this album just 2 weeks ago when he bumped into Lucy (who unbeknownst was supporting Neko Case) and was able to purchase it directly from her. There is a purity in her voice and an ever-present need for reassurance. Lucy is a natural cynic who always seems surprised that anyone is listening yet her music is an utter delight. 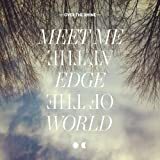 This album is even better than ‘Lucy’, her debut, and there is a simplistic complexity to her poetry. 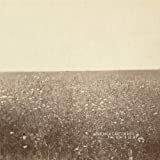 The Milk Carton Kids have reinvented the sound of Simon & Garfunkle on this, and their previous albums, and it would be a pastiche were it not that they are so skilful. They are so unassuming about their talents yet they have been nominated for a Grammy for this album. 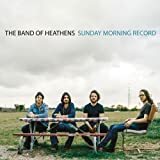 It is a timeless album and the guitar work is reminiscent of Gillian Welch and Dave Rawlings on their finest creations. Their previous album ‘Prologue’ finished with a spectacular composition called ‘Michigan’. This album finishes with an equally magnificent ‘Memphis’. The Ironbath wonders what will conclude their next album ‘Miami’, ‘Missouri’ or perhaps ‘Mobile’? The only thing better than a brand new Over The Rhine album is a brand new Over The Rhine double album. The Ironbath got to preview a number of these tracks on Cayamo in January. This is just about as perfect as music comes – technically proficient, lyrically complex and soulfully thoughtful. It also has one of the best album titles of the year. 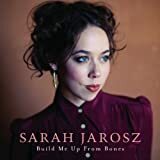 Vying against The Milk Carton Kids for the Best Folk Album Grammy is this album from Sarah Jarosz. You needn’t get into a discussion of what is folk, and if this is folk, to appreciate that this album deserves an award of some type or another. It has an understated quality that is easy on the ear and striking to the soul. 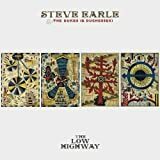 A new Steve Earle album can never be ignored, and he maintains his purple patch with ‘The Low Highway’, which has a more traditional country feel to it than of late, and was clearly written for his full Dukes & Duchesses band. Earle has musically moved away from his Washington Square home down to New Orleans where he has appeared as a street musician in Treme, whilst remaining pure Steve Earle thick with social references. 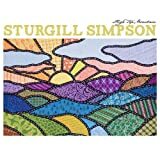 If the award was given purely on twang, Sturgill Simpson would be a clear winner. This is pure ‘Life Ain’t Fair And The World Is Mean’ country, which, coincidentally is the title of the first track of the album. The Ironbath missed his opportunity to see Sturgill whilst in Nashville, and whilst he is visiting the UK in February the Ironbath will be on Cayamo. This album doesn’t get far from the groove cut by a 1,000 country albums that have gone before but it is solid and what it does, it does very well. They’ve made the ridiculous sounding band name stretch to the album title and the lead track. It comes from a truncation of Will Kimbrough, Sugarcane Jane (Savana Lee and Anthony Crawford) and Grayson Capps. Somehow they left Corky Hughes out of name, but not the band. 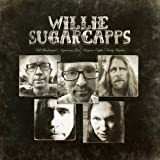 Let’s just be blessed they didn’t call themselves Corky Willie Sugarcapps. The album sounds great, pulling on the strengths of each of its component members. The peddle steel gives it a timeless quality and Savana’s vocal adds beauty to ‘Oh, Colorado’. The Ironbath’s final 5 greatest albums of 2013 will follow on tomorrow. Can you guess the albums on the list? This entry was posted in Andy Cutting, Art Garfunkle, Band Of Heathens, Brandy Clark, Caitlin Rose, Cayamo, Chris Wood, Devon Sproule, Emily Baker & The Red Clay Halo, Ethan Johns, Gillian Welch, Hem, Kim Richey, Laura Marling, London Grammar, Lori McKenna, Lucy Wainwright Roche, Martin Carthy, Michael Jackson, Mike O'Neill, Milk Carton Kids, Paul Simon, Portishead, sarah Jarosz, Steve Earle, Sturgill Simpson, The Civil Wars, The Imagined Village, The Lone Bellow, Willie Sugarcapps. Bookmark the permalink. Thanks, IB, for your thoughtful review of the wonderful music of 2013. I’ve got some listening to do!